iStockAdult ticks can climb tall grass and latch onto the legs of passing hikers. Deer ticks are pernicious, nasty little critters. Common throughout the Northeast, these parasitic bloodsuckers are the primary vector for Lyme disease, an unpleasant and potentially serious illness that is well worth avoiding. Your goal is to prevent deer ticks from enjoying their sanguineous feast and possibly transmitting the disease-causing bacterium. Here are the best, most effective repellents and techniques. First, understand your enemy. Deer ticks have an unusual three-stage, two-year lifecycle, which begins during the summer when their eggs hatch as larvae. Once a larva obtains a blood meal from a host, it molts and becomes a nymph. Nymphs are tiny—about the size of the period at the end of this sentence—and spend winter underground before emerging in late spring; their populations typically peak during June and July. Once a nymph successfully feeds on another host, it transforms into a larger adult, which then seeks a final blood meal to provide the sustenance needed to mate and reproduce. Adult deer ticks are most abundant in October and November, with a secondary period of activity in April and May. Deer ticks do not hatch as carriers of Lyme disease, but if a larva or nymph feeds on an infected host (typically a deer or mouse), it will become a disease-carrying nymph or adult, respectively. Nymphs represent the greatest threat due to their near-microscopic size; they cause most cases of Lyme disease in humans. (The majority of victims never see the tick that bit them.) Once an infected tick attaches to a person, it takes a minimum of 24 hours before it can transmit the bacteria that cause Lyme disease. DEET may work at repelling ticks, but Mather advises it only as a second line of defense. His top recommendation: Wear tick-repellent clothing treated with permethrin, which kills ticks after only five to 30 seconds of exposure. “Permethrin is dried into your clothes,” Mather explains, “and if you purchase treated clothing or have it commercially treated, it can last 70 washings.” (Insect Shield, which produces its own line of insect-repellent apparel, will treat clothing for $8 to $10 an item.) Alternatively, you can treat clothing yourself, though home treatments last for only about four to five washings, Mather says. The most important areas to defend are your feet and ankles. “Your shoes are the primary interface with nymphs and larva, which crawl up from the leaf litter,” Mather explains. Apply permethrin and/or DEET to your shoes and socks and you’ll establish a powerful barrier against your Lilliputian foes. Adult ticks, on the other hand, will climb up on tall grass and low-lying bushes, allowing them to latch on at the calf or above. Wear treated pants and shorts to fend them off, and apply DEET to your legs if they’re exposed. For maximum protection, wear treated clothing from top to bottom. Wearing light-colored garments makes it easier to spot a tick crawling on you. Ticks latch easily onto coarser weaves, such as those in heavy canvas pants; opt instead for smoother, tightly woven fabrics. Another standard recommendation is to tuck your pants into your socks to prevent ticks from crawling out of sight underneath your clothing, though Mather wryly notes that this is a “fashion statement that never went anywhere. Why even push a health message that few people will follow?” he asks. Whatever your fashion sense, taking some or all of the precautions outlined above will greatly reduce the odds of an unpleasant tick encounter. 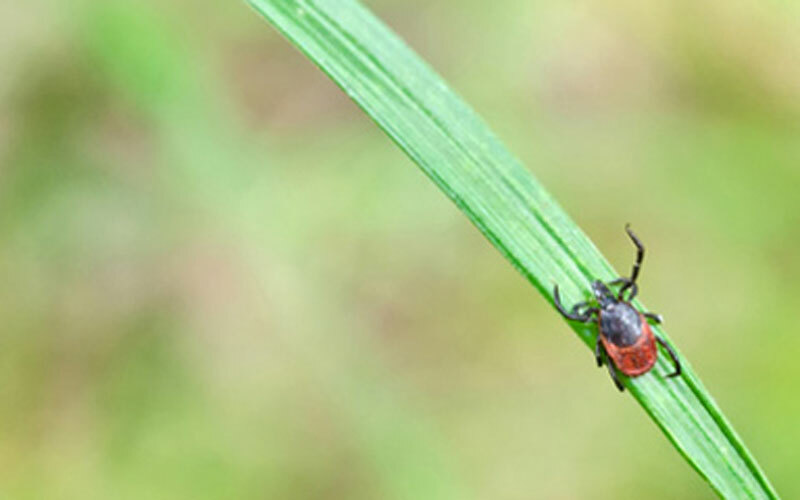 But keep in mind that ticks are tenacious and capable of finding even the smallest gap in your defense—always check yourself thoroughly after any outing into tick country, especially in those warm dark corners below the belt where ticks love to hide. For more information, including tips on tick identification and removal, visit the Tick Education Resource Center at tickencounter.org.